We are proud to carry the largest selection of premium cigars in Edmonton, Alberta. Feel free to browse our selection by clicking on any cigar country of origin below. You will see a full list of the brands carried from Cuba, Dominican Republic, Nicaragua, and Honduras along with a history of cigar making in each country. We are honored to carry authentic Cuban cigars as a designated Habanos Specialist. 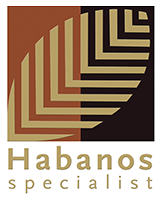 The HABANOS SPECIALIST project is developed by Habanos, S.A. and implemented by its Exclusive Distributors in their respective markets. It’s a category bestowed by the Distributor to specialty retailers like Nottingham Cigars of Edmonton thus helping promote the culture of the Habano as well as the prestige of the cigars originating from Cuba. For the full list of Habanos carried in our store and a description of their rich you can click here for Cuban Cigars and information.